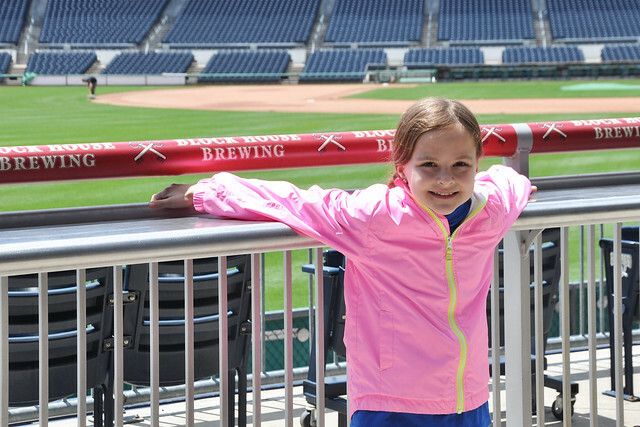 Chaperoning a field trip is a coveted job in our school district. This year, I was miraculously chosen to chaperone both Dylan and Lexie's field trips! 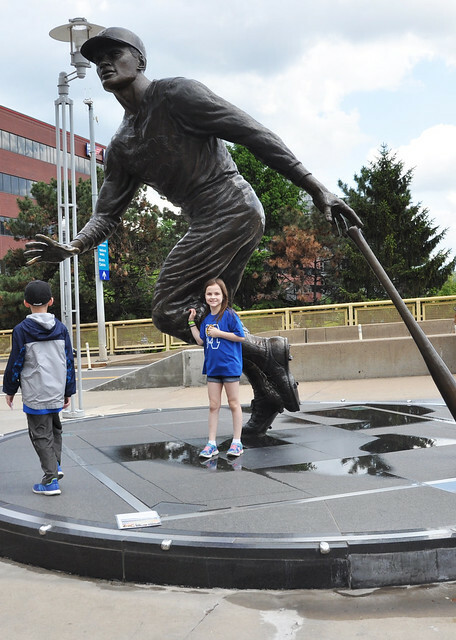 Dylan's field trip to the Carnegie Science Center was a few weeks ago, and on Friday the 13th, Lexie and I headed into Pittsburgh with her class to go on a field trip that made my husband very jealous! 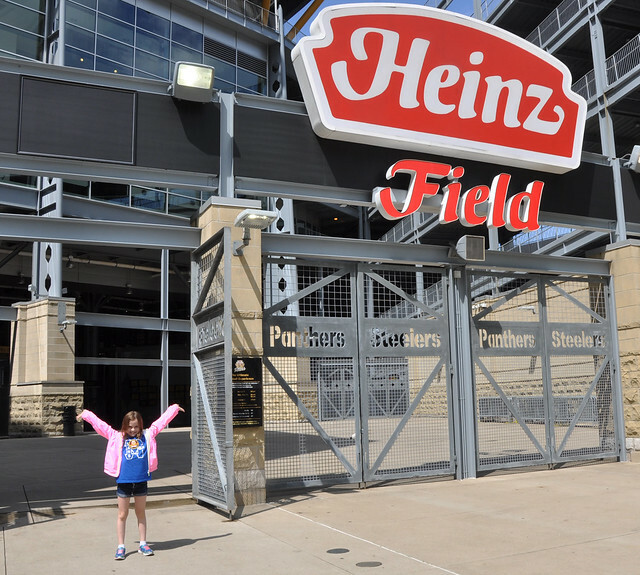 We were going to get behind the scenes tours of Heinz Field, home of the Pittsburgh Steelers, AND PNC Park, which is home to the Pittsburgh Pirates! I was very apprehensive about the field trip. It was supposed to rain all day, so I was prepared with coats and umbrellas. The morning started out a bit rough. As we were walking (okay...RUSHING) out the door, my entire cup of hot tea spilled all over the floor. As I was lifting up the play kitchen to sit towels on the puddle of tea, the play kitchen tipped and all the play food and dishes ended up all over the floor. There wasn't any time to make another cup of tea or clean up the mess, so we just left it as it was! We boarded the bus full of overly excited kids (and the most dads I have ever seen chaperoning a field trip) and pulled away from the school. We made it one short mile before we had to turn around and go back to the school to pick up the school nurse. We apparently forgot her in the midst of all the chaos! We finally made it into the city, and it was worth the wait. Not only did it turn out to be a beautiful day, but the tours were amazing! 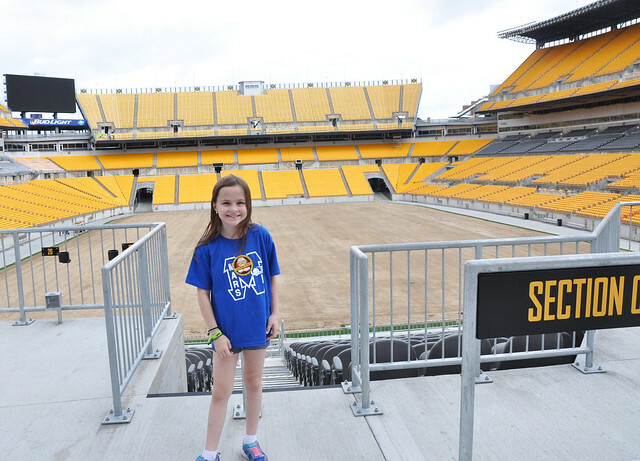 Our first stop was Heinz Field! I have never been to the new field, so I was excited to see everything! 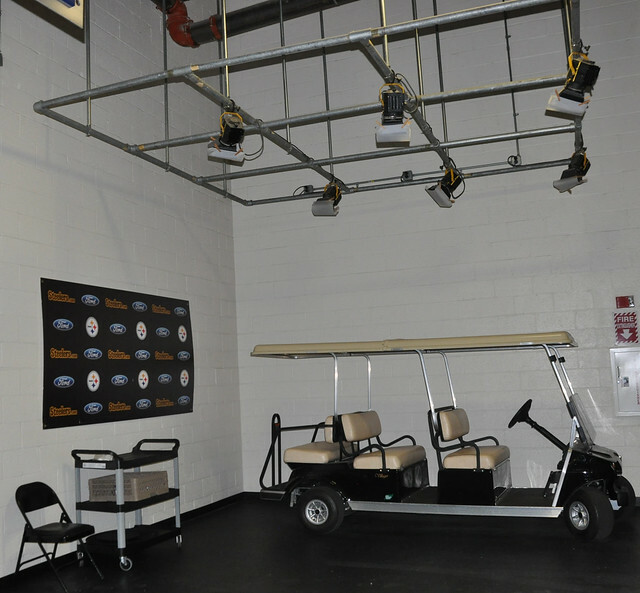 Our first stop (after a bathroom break, of course) was the locker rooms. 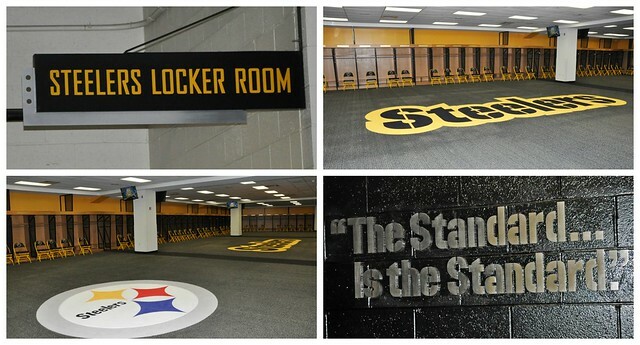 Although it was neat to see the Pitt locker room, the Steelers locker room was what we really wanted to see! 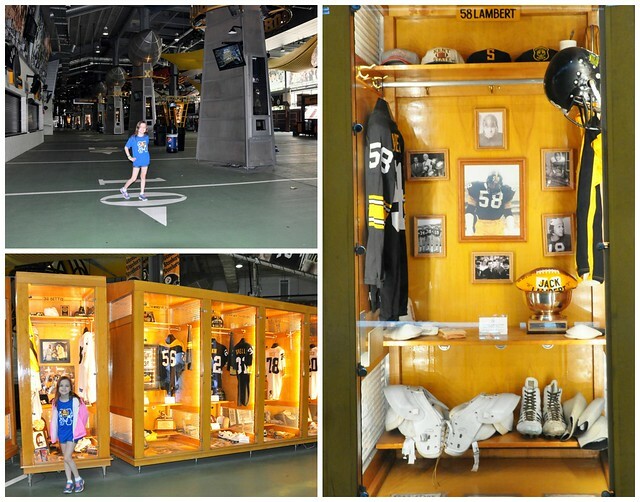 When Dylan went on this field trip a few years ago, they weren't allowed in the locker room, so this was exciting. I have to admit, it was nothing like I pictured it would be! For some reason, I expected it to resemble a high school locker room! Another thing I wasn't expecting was how plain and simple the area where they interview the players was. It looks so much different on TV! 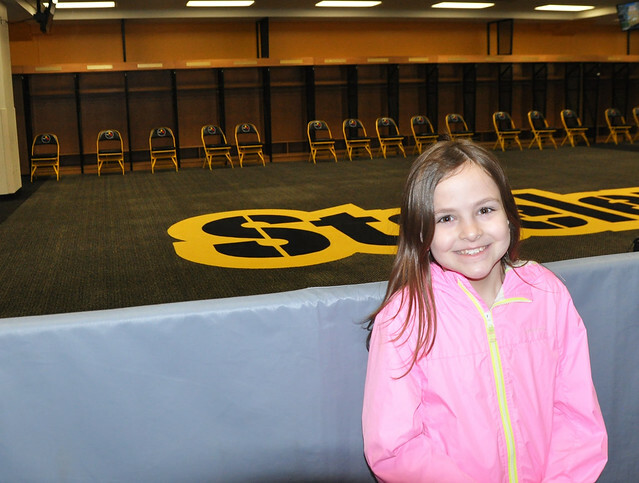 Lexie's favorite part of the tour was slapping the football emblem that all the players slap for good luck as they exit the locker room before a game! We got to walk through the tunnel the players walk through to enter the field. It was so neat seeing the field from that perspective! 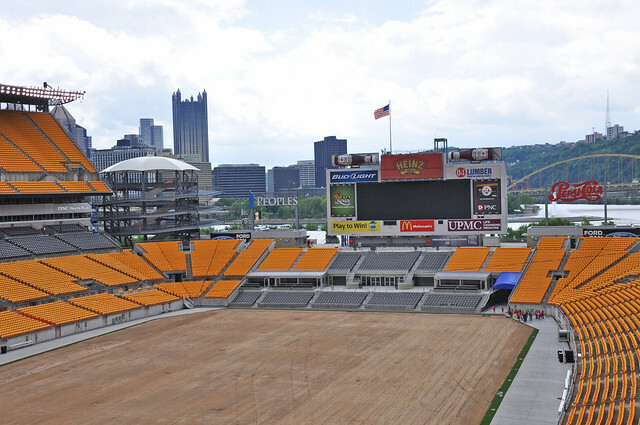 Unfortunately, we couldn't go on the field this time, because they were removing the grass and replacing it with foam flooring for their summer concert series. After leaving the field, we started the descent down the ramp to visit the rest of the complex. 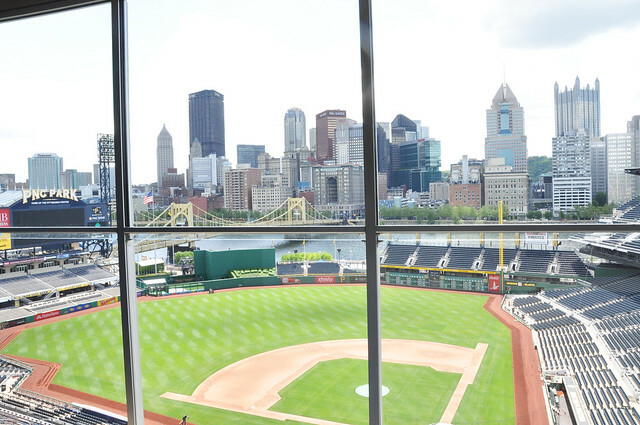 The view of the city is just as beautiful as it is from PNC Park! As a blogger, I really liked seeing the press box. It must be an exciting but stressful job to be a sports reporter! 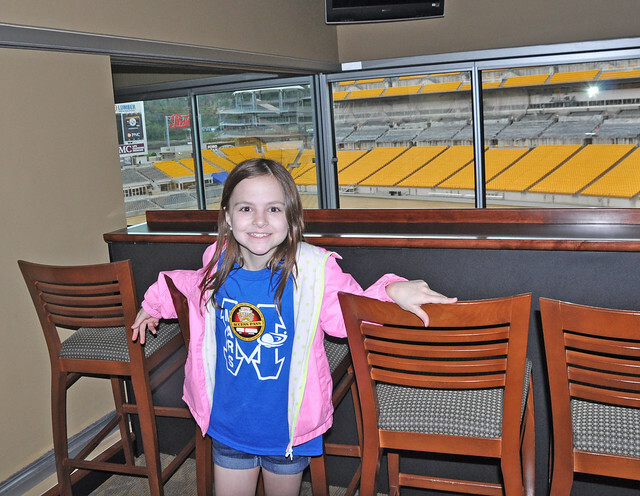 We also got to see a luxury suite. They start at just $49,000 a year (HA!) and go up to well over $100,000 a year, depending on the size. I begged Lexie to give up her college education so we could get one, but she thought that was a terrible idea! Oh, well...I can dream! We finished up our tour in the Great Hall. We didn't have much time left, so it's definitely something I would love to spend more time visiting one day! I know Grant would love to see it! 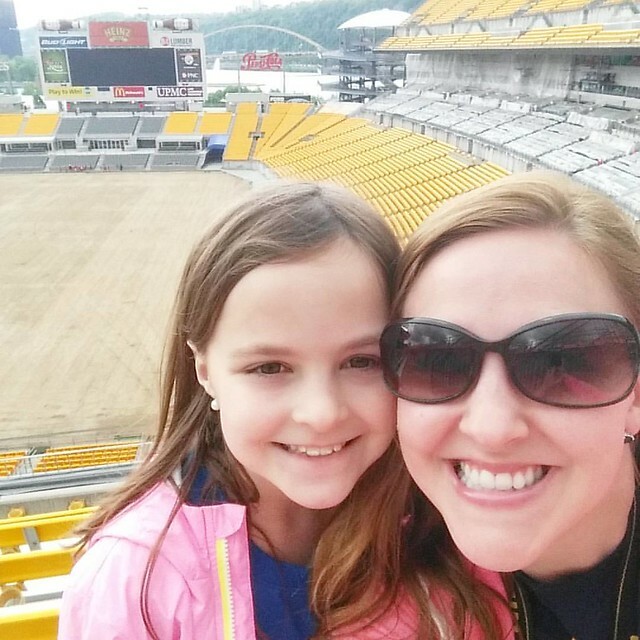 We loved visiting Heinz Field for the first time! Hopefully my entire family can go see a game soon! We grabbed our lunches off the bus, and headed down to the river walk for a very quick lunch break. We picked a little pier for our picnic spot, which gave us a great view of the city. 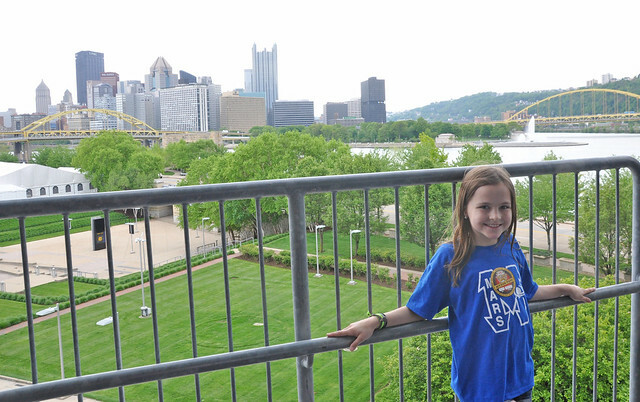 As soon as we were done, we headed down the river walk toward PNC Park! 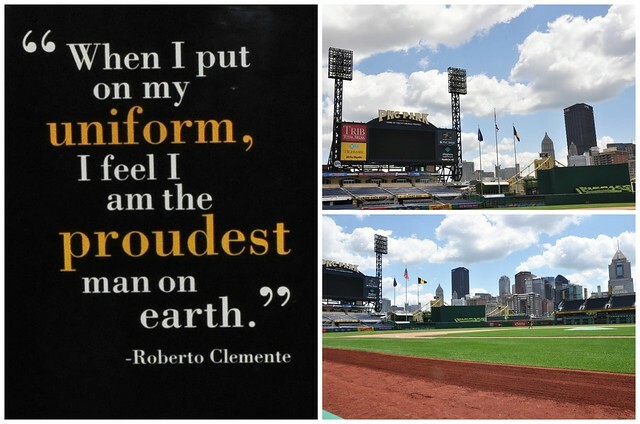 We visit PNC Park at least once a year for a Pirates game. It is such a beautiful ball park! 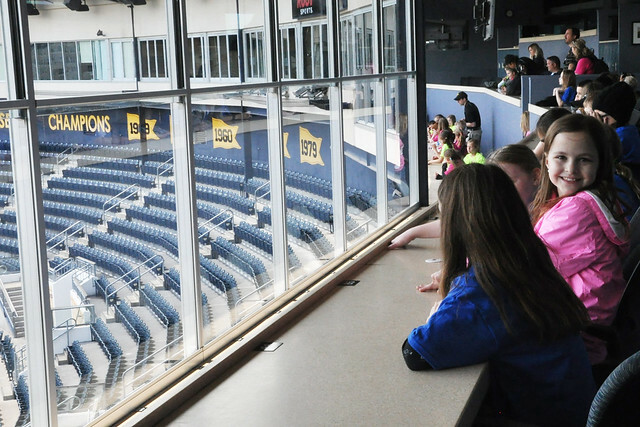 This time, we got to view the field from the press box! 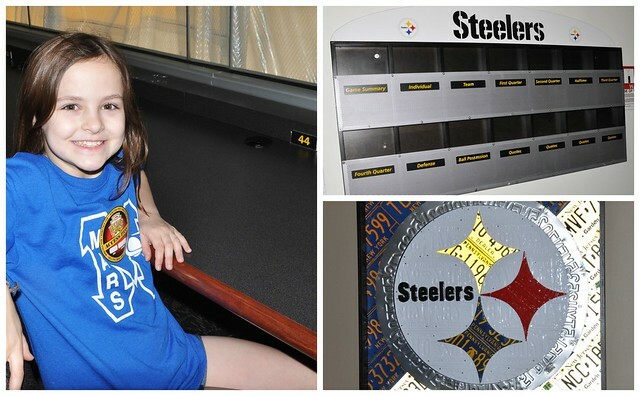 We also had the opportunity to tour the locker room, but no cameras were allowed. Such a bummer, because it was really cool to see! But let me just share that Lexie's favorite story to tell about that tour is how the Pirates are messy and like to leave their underwear hanging in their lockers! 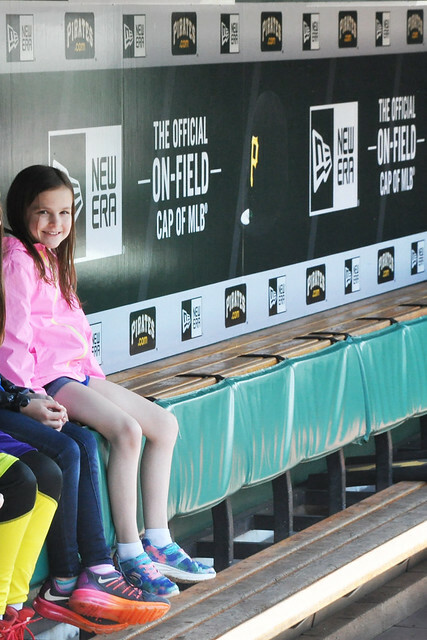 From there, we headed into the Pirates dug out! 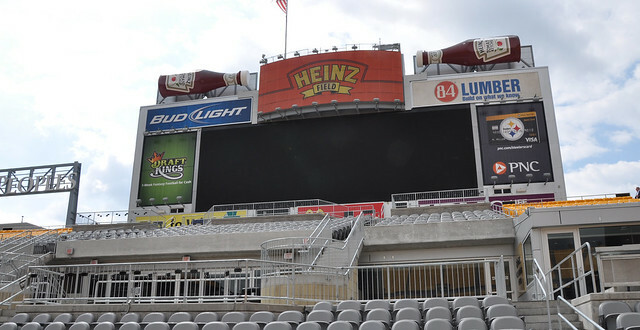 I have never seen the field from that angle, so I really liked that part of the tour! Unfortunately, they were working on the field, so the kids couldn't run the bases this time. 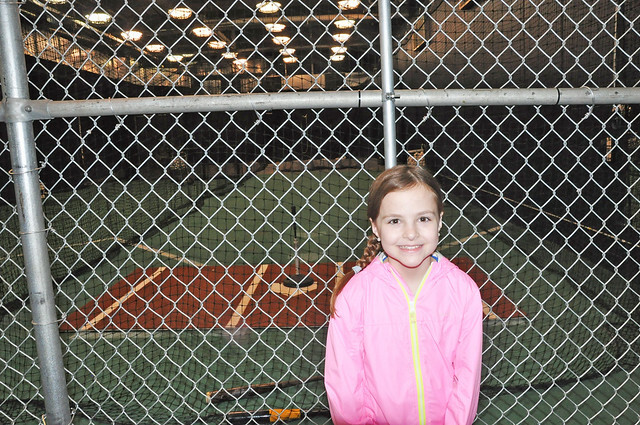 They did, however, get to see the batting cages and training rooms! By that point, all the kids were starting to fade. It was a REALLY long day with lots of walking! 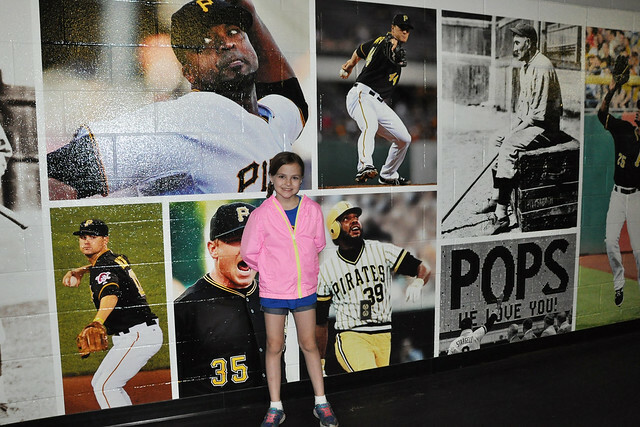 Even though we have visited PNC Park many times, it was fun to get the behind the scenes tour! We can't wait to go back for a game this summer! After we left the park, there was a little mishap with the buses not being there to pick us up. That resulted in Lexie's teacher running through the city to find them, a bus driver coming to find us and leading us on a much longer walk to the buses, and Lexie's autistic classmate, who was walking with us, having a meltdown. (I managed to calm him down by distracting him with the news that we knew his sister.) We finally reached our bus and collapsed in our seats. What is it about field trips that leave you so exhausted? What was the last field trip YOU went on? Oh, this is so fun!!!! Can't wait to chaperone field trips! So fun, now that would be a cool field trip!! It was! My husband was very jealous! What a fun field trip to chaperon. Luke & I toured Miller Park back when we were dating. It was such a cool behind the scenes look. What surprised me was the jail cell that they had below the stadium for disorderly conduct, people who drank a little too much, etc. I never knew! A jail cell?!? That's fantastic! We did find out that the groundskeeper has an apartment in the outfield. I never knew what that door along the wall was before! What a fun field trip. So cool to see all the memorabilia! wow!! What a cool field trip!! 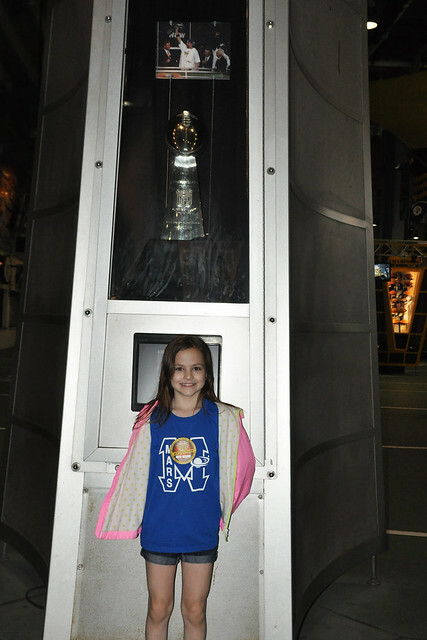 It was definitely one of my favorites out of all the field trips I have chaperoned! Oh my goodness that is so awesome!! I'm a bit jealous too. Such a cool field trip for the kids to go on. So parents aren't allowed to go on any field trip they want? Actually a good concept. 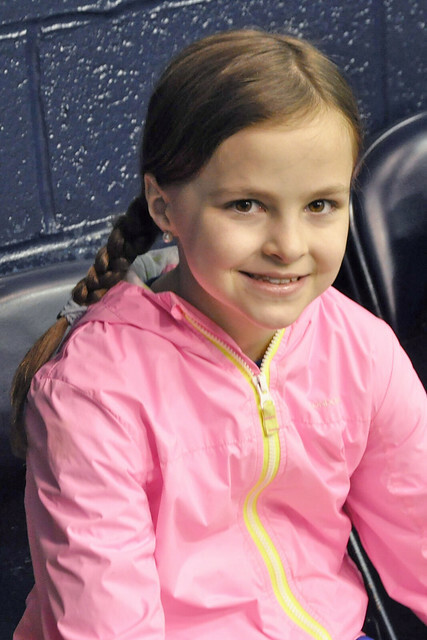 Loved all of the pictures and the time you got to spend with Lexie! 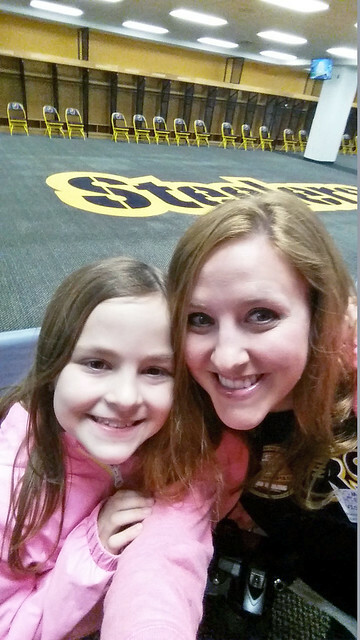 What a fun field trip and oh my goodness your day could have only gotten better after that start! I hate it when my days start like that. What a unique field trip! Pierce is on a field trip to the NC zoo today. It's supposed to pour rain all day so not the best day for the zoo! What a fun field trip! That's funny that all the sudden Dads wanted to chaperone. They should keep those men in a waiting list & call them up on the next field trip...to a musical or something. Ha!! What a cool trip. I didn't volunteer to chaperone this year because the thought of watching 20+ six and seven year-olds didn't quite seem as fun as being able to go to the science museum on our own. I promised Lewie another day of just him and me together instead... 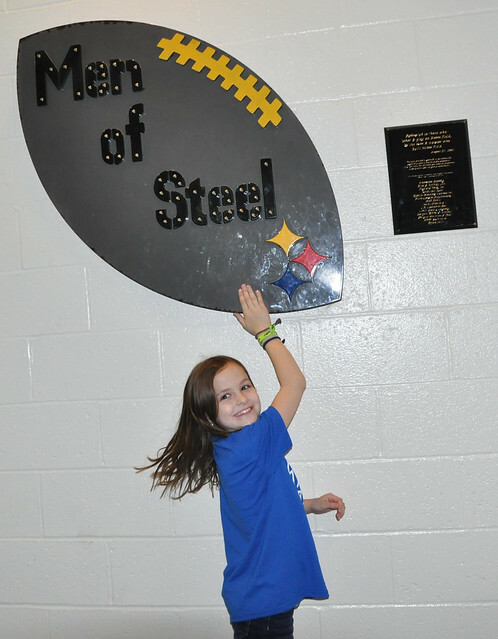 It sounds like you and Lexie had an awesome time. I can't believe a luxury sweet costs just as much as a full college education. Insane!